Why Carriers cap LTE services to avoid fixed-line cannibalization? You are here: Home › Tech News › Why Carriers cap LTE services to avoid fixed-line cannibalization? Understanding computer technology is not everyone’s cup of tea. Nowadays, even mobile phones have such complicated mechanisms that even their users cannot grasp. This is coupled with the fact that they are updated by the minute, so when you finally understand something, a new device or application is out in the market! Along with learning about computers and mobile phones, it is also helpful to gather some basic information about internet connectivity and Wi-Fi technology. Internet usage has become something of a necessity all over the globe. Even in the third world, you will find an ever-growing usage of computers, mobiles and other related devices. Knowledge of the devices and internet service is helpful. Only a good combination of these two will result in longer battery life of the machine coupled with high speed downloading and data transfer. 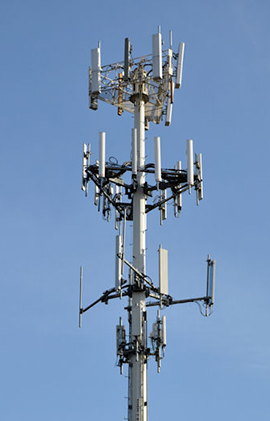 What are some of the popular wireless communication services? LTE stands for Long Term Evolution 3GPP (3rd generation partnership project). It is a standard for wireless internet communication for high-speed connectivity on mobile devices. It is also promoted as 4G LTE. 3G was introduced about a decade ago to support voice transfer at the speed of 200 kilobytes per second (kbps). Many mobile companies have already introduced 3G phones that use the High Speed Packet Access (HSPA) picture sharing and online streaming. Updated packages can reach speeds of about 7.2 mbps and mobiles that use this service are called 3.5G. 4G packages likewise support high speed voice transfers, though 4G devices are still not common. Developed by the Institute of Electric and Electronics Engineers (IEEE), WiMax was the common wireless internet standard for mobiles before LTE. WiMax was used especially in those locations where wired connection is difficult to install. You thus have the same speed without having to spend money on installation. Why prefer LTE over WiMax? The main reason why LTE proves to be better than WiMax is that LTE uses SIM cards. SIM cards only grant authorized access and that is necessary when you are talking about personal information. Since LTE works with SIM cards, data storage becomes authenticated and secure which WiMax is not able to provide. Therefore, even though WiMax may provide good Wi-Fi service, a mobile phone also needs security. Secondly, LTE provides a better upgrade path to carriers. Moreover, LTE works at a greater speed (approx. 100 mbps) as compared to about 30 mbps on WiMax. LTE is better suited to existing systems such as HSPA allowing an efficient use of bandwidth. It is likely that LTE will soon eclipse WiMax in its usage. Why has LTE become popular among carriers? Many internet carriers like AT&T and Verizon have already converted their networks to LTE because of its effectiveness on mobile phones. It also provides flexible bandwidth allocation going from 1.4 to almost 20 MHz. The LTE system is compatible with standards like GSM (Global System for Mobile Communication) and CDMA (Code Division Multiple Access). LTE is gaining rapid popularity in North America and it is predicted that it will become the dominant Wi-Fi technology in the US and many other parts of the world. This largely depends on the Apple Company’s plan to release LTE capable iPhones. The iPhone 5 will be launched in the fall of this year. Along with improved features, it will include 4G LTE technology. This will not only thrill the iPhone fans, but also prove instrumental in making LTE technology famous throughout the world. The success of the new iPhone will boost the popularity of 4Gtechnology. LTE carriers want to cap LTE services to avoid fixed-line “cannibalization”. This means that increased usage of particular line causes technical faults and hence, carriers need to restrict it. However, senior member of the IEEE Robert Saracco, (also a director of an Italian Telecom company) states that the real reason behind this policy is to prevent consumers from using their wireless internet services to the extent of completely ignoring the landline networks. He also states that though LTE’s popularity lies in its speed, in the future it will be able to make wireless internet connectivity cheaper for its users as compared to the HSPA or the EV-DO (Evolution Data Optimized). To compare high speed internet on Broadband Expert, you must always follow the experts!! About the guest author: The above article is composed and edited by Shannen D. She is associated with many technology and designing communities including Broadband Expert, as their freelance writer and adviser. In her free time she writes articles related to broadband deals, technology, mobile applications, etc. I would go on Wimax, I am into internet's speed. It's a give and take. If you're after speed, go Wi Max, if security is your cup of tea, go LTE.